Low-cost football award that is ideal to reward the star players in your club. 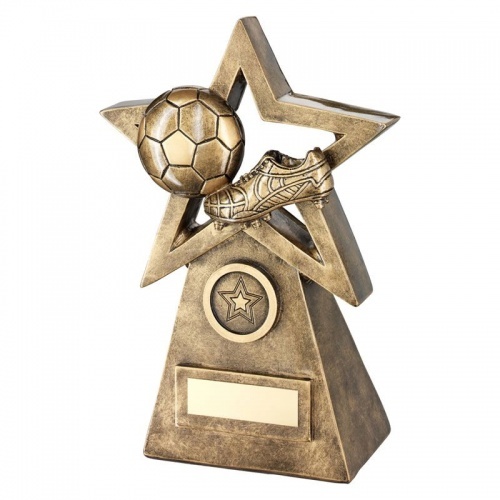 Crafted in durable resin with a bronze and gold colour finish, these trophies feature a star shaped frame enclosing a football boot and ball, set on a tapered stand with 1in centre and engraving plaque. Stands 6in / 152mm tall, offered with text and/or logo engraving options.